David Lynch's earliest interest was art, not film, and his post-high school education was focused in that direction. While attending the Pennsylvania Academy of Fine Art, however, he "heard a little wind" while working on a painting, and was gripped by a desire to see one of his paintings move. The result of this urge was Six Men Getting Sick (1967): a film projected onto a canvas that had 3-dimensional elements built into it. Upon seeing this work, a wealthy patron commissioned Lynch to create another -- a project that ended up being a wash, but led to the creation of his first proper foray into film, The Alphabet (1968), which in turn led to David's acceptance into The American Film Institute. While at the Institute David created a second short, The Grandmother (1970), but it was his next undertaking that would prove most critical to his future. Beginning in 1972 and continuing up until 1976, David Lynch literally lived on the set of Eraserhead. All of his time and money was invested in creating this, his first and most notorious feature film. In its style and design, many of the trademark elements that would characterize his future work first became fully realized: careful, deliberate dialogue, dramatic lighting, and an utter disregard for the boundary between abstraction and reality were brought together to portray a world with familiar trappings but a wholly alien feel. The film was far from successful upon its release, but it did bring David to the attention of producer Mel Brooks, who was impressed enough to hire him to direct The Elephant Man (1980), which earned him an Academy Award nomination for best director. The next project was a complete nightmare for the director: an adaptation of the science fiction novel Dune (1984). 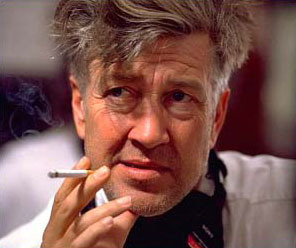 Dealing for the first time with an enormous production and the accompanying pressures from "higher up", Lynch suffered such mental duress that he claims not to remember even completing the picture. Arguably the weakest link in his chain, it does still benefit from his distinctive visual style (as well as an appearance by Erasherhead's Jack Nance). Most importantly, it led directly to the creation of Blue Velvet (1986), the film that finally established Lynch as an internationally-renowned director. The subsequent course of David Lynch's career follows the pattern established up to this point: periods of critical and popular acclaim: the Twin Peaks series (1989), Wild at Heart (1990) followed by an inevitable backlash where the film world lines up to spit on him -- viz. Twin Peaks - Fire Walk With Me (1992). However, his successes have established him well enough that he can essentially create the projects he chooses without undue outside interference in the process. His loyalty to his collaborators has come to be as well established as his creative style, with many cast and crew members working with him on successive productions -- including some that worked with him as far back as Eraserhead.